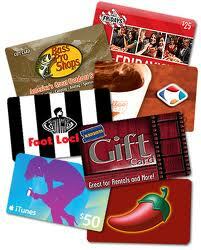 There are many sites that buy and sell gift cards. Buying discounted gift cards is a great way to stack your savings. I've been using these sites for a while and I know my mom uses them too as she gave me the suggestion to make this post (there's nothing cooler than a shout out to your mom!). --You can get almost any gift card out there...walmart, restaurants, clothing, bestbuy...you name it. --Available as physical gift cards or e-cards. --I would recommend only getting gift cards to places you plan on going already. EXTRA SAVINGS??? You can even purchase from Raise.com cardpool.com via TopCashBack.com (click HERE for previous post on this). So here is an example of how I stack my savings when I shop at home depot. You can do this type of thing at a lot of stores.